A wall of knobs and jacks—a colorful web of patch cables—a flurry of animated beeps, trills, and swells—a living forest of blinking lights—the prototypical image of a modular synthesizer brings with it over half a century of mystique. Between staggering prices, their defiance of traditional musical organization, and their simple rarity, these instruments for the most part disappeared into obscurity as fixed-architecture synthesizers such as the Moog Minimoog Model D, ARP Odyssey, and others came into popularity. 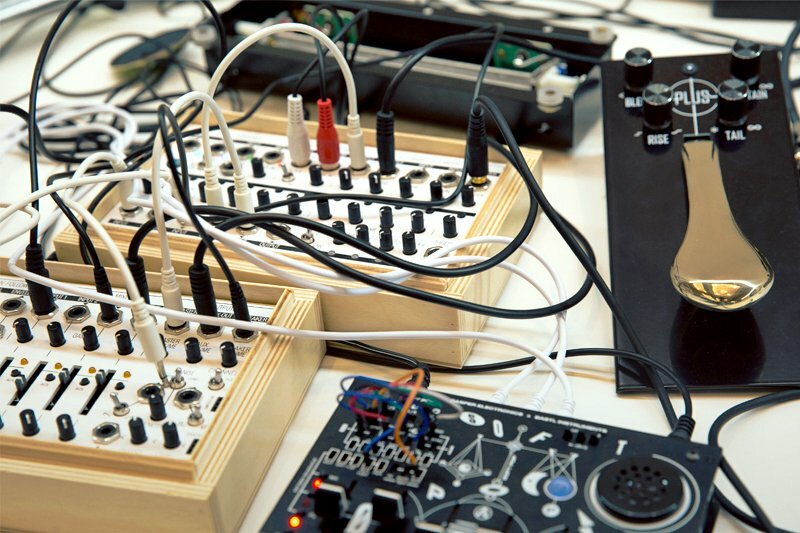 Of course, modular synthesizers now are more popular than ever: the introduction of the Eurorack format by Dieter Doepfer in 1997 provided room for new builders and a new century to explore what a modular synthesizer can be. 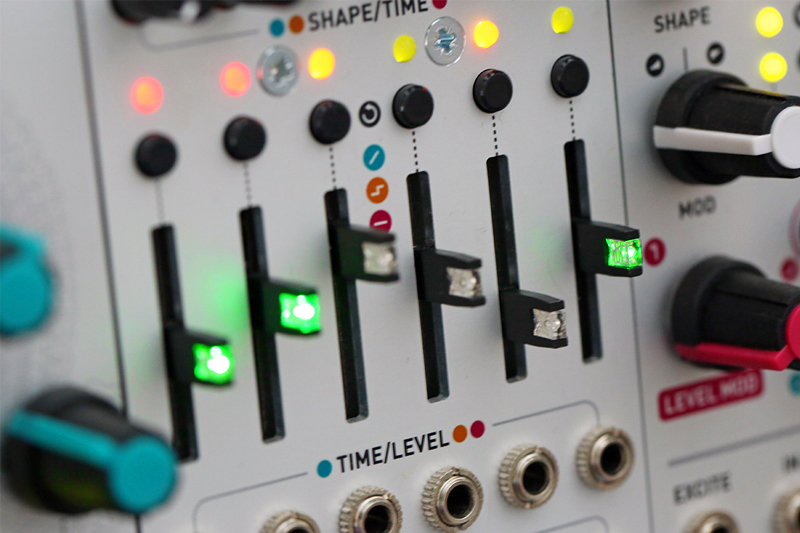 Despite being far more affordable and accessible than ever before, though, modular synths still carry the weight of their old reputation—but it is not too late for that to change. Korg's Volca Modular confronts all of these stereotypes and negates them, providing sonic resources inspired by some of the most desirable modular systems at a fraction the size and cost. 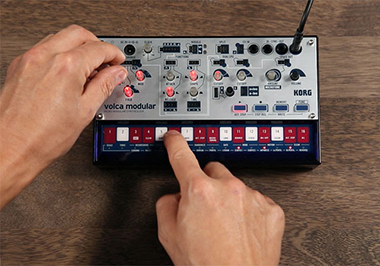 The Volca Modular is one of the newest entries in Korg's Volca line (along with the Volca Drum), joining ranks with the ever popular Volca FM, Volca Sample, and others. Perhaps their most peculiar Volca to date, the Modular is best described in comparison to its obvious influences. 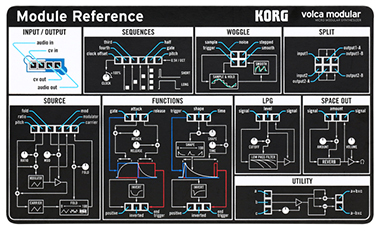 While one might have anticipated that Korg would model a modular Volca after the workflow of their own past designs (such as the MS-20 and MS-50), they have instead taken evident inspiration from the "West Coast" instrument lineage. While Korg's older designs are more beholden to the subtractive approach first championed by Bob Moog's modular instruments, the Volca Modular is clearly inspired by the instruments of Don Buchla and their derivatives. 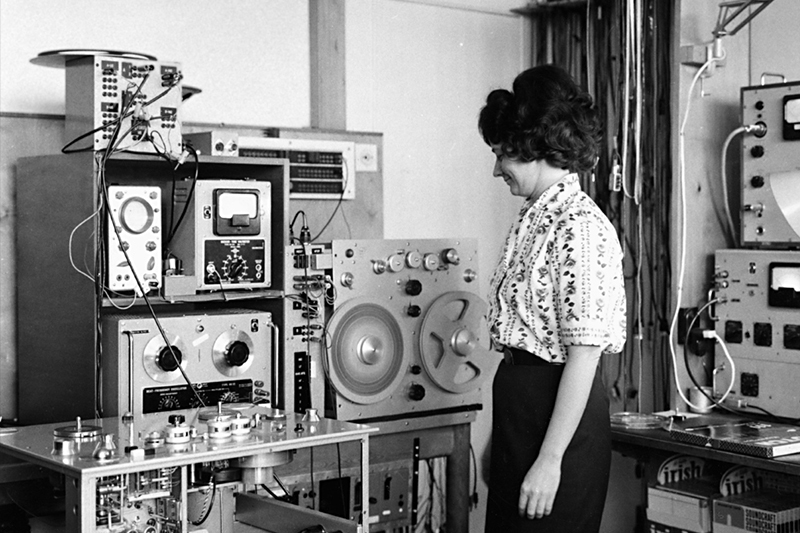 While Moog's generally keyboard-oriented, subtractive synthesis approaches gained greater commercial traction in the 1960s and 1970s, Buchla spearheaded the development of modular systems geared toward creating new sounds and new forms of music altogether. 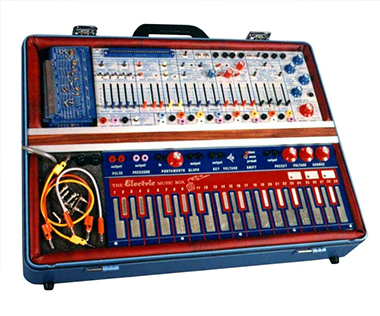 Buchla's instruments are famous for their disregard for musical convention and deployment of novel conceptual approaches, some of which seem foreign even today: Multiple Arbitrary Function Generators, Kinesthetic Input Ports, Sources of Uncertainty. A reliance on randomness, complex algorithmic approaches, and novel means of timbral control have become cornerstones of the "West Coast" synthesis approach. For adventurous musicians, these instruments represented musical freedom: freedom from rules, freedom from the musical culture of the past, freedom to define what the future of music would be. Given the rarity and high price tag associated with Buchla's instruments, many of his fundamental concepts remained completely out of reach to musicians until the Eurorack format came into its own. Among other things, Eurorack offered a platform in which new designers could create their own derivatives of these traditional West Coast ideas. Companies like Make Noise, Verbos Electronics, and others have brought complex oscillators, wavefolders, and touchplate keyboards to a far broader user base than they ever received in the 1970s. However, modular synths are still out of reach for many musicians—which is why we at Perfect Circuit are so excited about the Volca Modular. 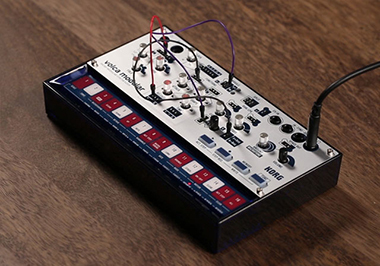 From its voice architecture to its blue-and-red color scheme, it feels obvious that the Volca Modular borrows much of its ethos from the legendary Buchla Music Easel, an extremely desirable portable synthesizer introduced by Buchla in 1972, which packaged many of his instruments' defining concepts into a suitcase-sized package. 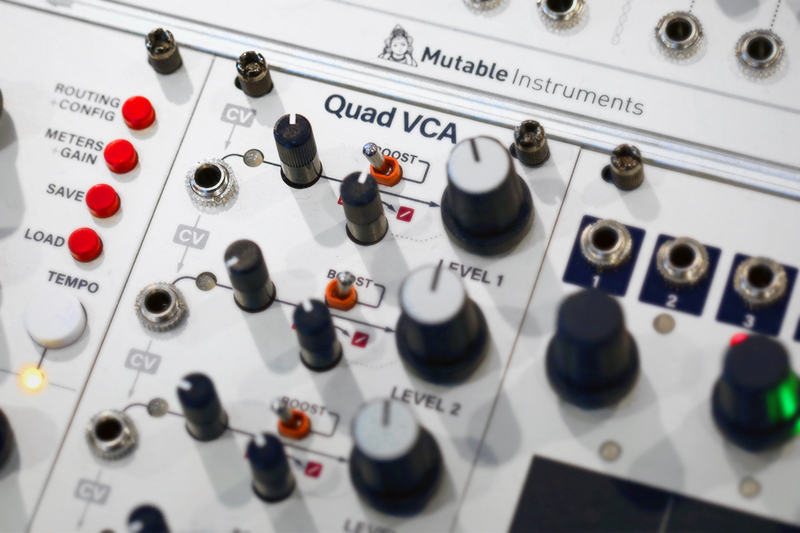 The Music Easel has inspired many synthesizers and modules (especially since the onset of the Eurorack boom), but never before has a derivative instrument assumed the price point and footprint of the Volca Modular. 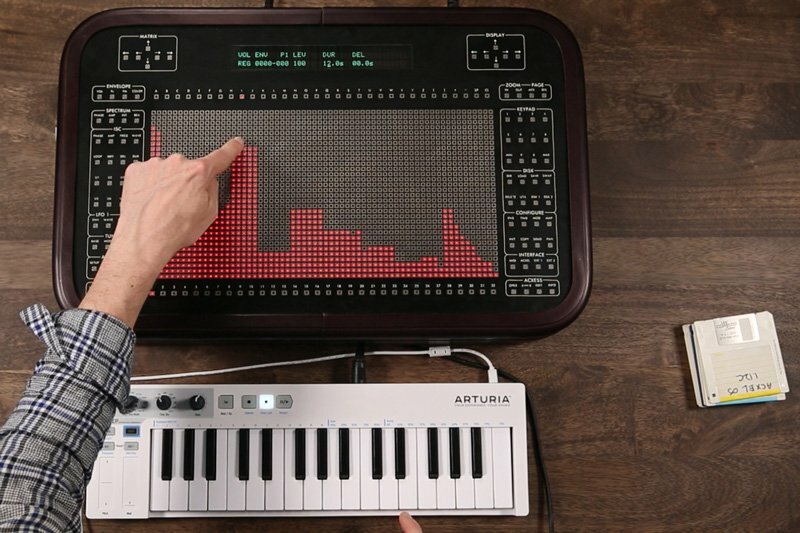 What makes this instrument different, though, from the typical desktop synthesizer? 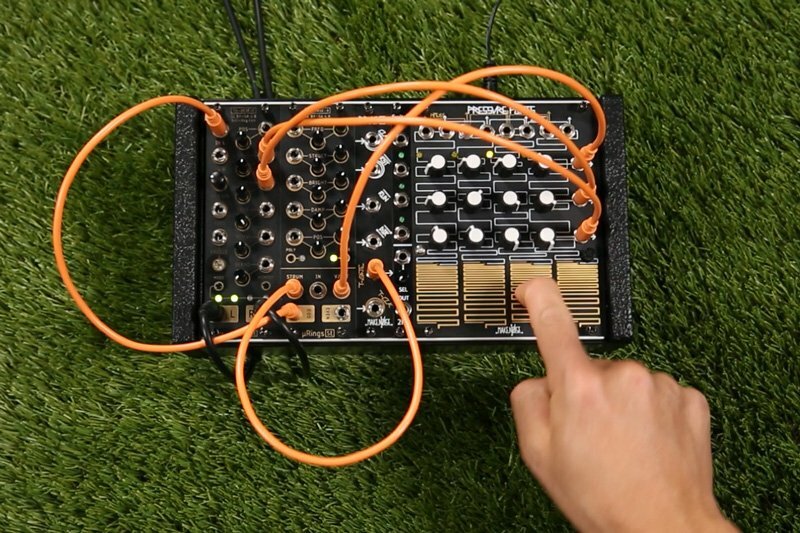 The Volca Modular is, as its name implies, modular: it offers an open-ended modulation path which can be reconfigured with breadboard-style Dupont jumper cables. A default semi-modular signal path is displayed on the panel with light traces from section to section, enabling easy access to classic West Coast sounds without the need for patching. Overriding this default path by adding cables, however, leads to a world of new behaviors, unfamiliar tones, and deep modulations.  The internal synthesis resources are staggeringly powerful and rich. The "Source" section includes a dual oscillator configured for FM duties, complete with controls for FM ratio, modulation depth, and wavefolding, offering a wide array of complex tones. This oscillator then passes into the Dual Lowpass Gate (LPG) section, a combination lowpass filter + amplifier that offered Buchla's synthesizers their characteristically organic dynamic response. 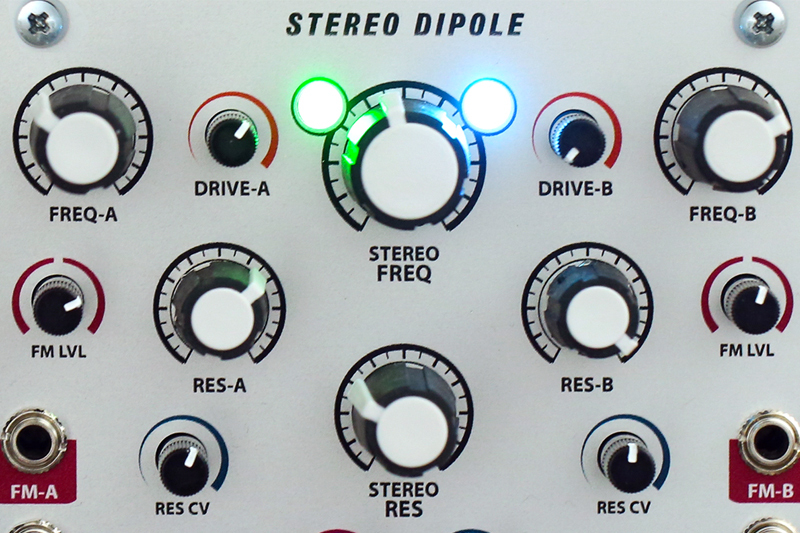 This signal then travels to the Space Out section, an aptly-named swampy reverb reminiscent of the spring reverb sounds of the '70s. 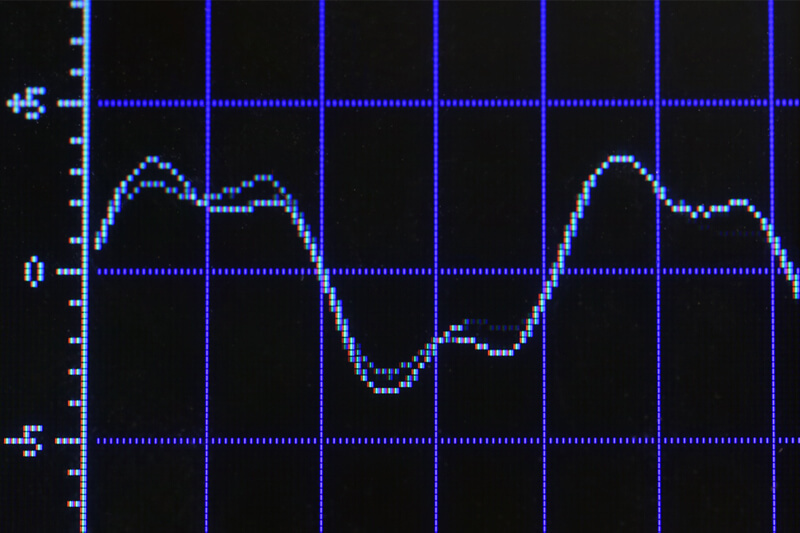 These sonic resources offer a welcome relief from a world saturated with the sound of resonant lowpass filters, sampling, and digital FM: they still feel exotic and mysterious, and even veteran synthesists will delight in the palette expansion that these techniques offer. Of course, a modular synthesizer is nothing without modulation, and this is another place where the Volca Modular truly shines: almost every section offers voltage control, from clock rate to wavefold amount, reverb amount, and much more. Along with the oscillators themselves, the VM offers no fewer than five additional modulation sources. The Functions block offers two distinct modulation sources: one offering traditional attack/release-style envelope control, the other offering individual controls for envelope shape and timebase. The second envelope also offers a dedicated gate output, enabling looping LFO-like behavior when patched to its own gate/reset inputs (not unlike the approach of classic Serge modules such as the DUSG or SSG). The Woggle section provides stepped and smooth random voltage generators seemingly inspired by Grant Richter's Wogglebug (itself a seeming descendant of the Buchla 265 Source of Uncertainty). This section is actually a stepped/smooth sample & hold, bringing to mind the classic Serge SSG. This is one of the West Coast hallmarks: the ability to infuse a patch with some amount of unpredictability. A built-in clock source offers several interlinked outputs: one trigger output, one gate-style clock output, and individual outputs for three distinct clock divisions, making it easy to create complex polyrhythms and rhythmic modulation schemes. And of course, no such instrument would be complete without voltage processing capabilities: the A+BxC/A-BxC and Split sections offer a means to combine, attenuate, and distribute voltages into complex means of control. What's more, the Volca modular offers CV input as well, making it easy to integrate with a modular system or pedals that utilize CV as a control scheme. 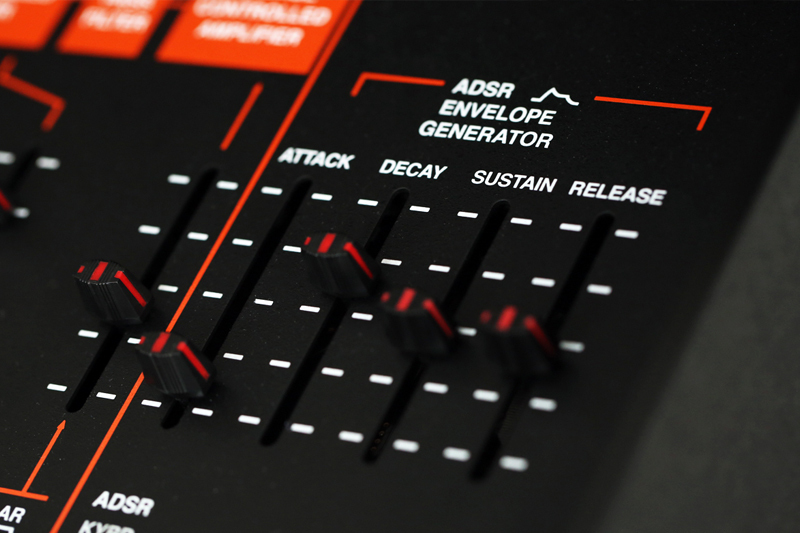 Like all other Volca synthesizers, the Modular offers an integrated touch keyboard and a powerful sequencer. There are some notable changes from the typical Volca workflow, however. For instance, the Volca Modular offers support for microtuning (like their Monologue and the newly announced Minilogue XD), providing access to completely new tuning systems outside of typical 12-tone equal temperament. The sequencer provides access to stochastic techniques, a type of rule-based algorithmic sequencing resulting in compelling, complex patterns, as well as pattern randomization for experimental delights. And of course, other classic Korg sequencing niceties remain intact: motion recording is still available, as well as active step programming, Sync In and Out, and more. When Volca Modular images first leaked in December we were excited at the possibility of Korg offering one of the first truly affordable West Coast-style instruments—and we are now excited to confirm that it is a reality! The Volca Modular will prove a welcome first step for musicians excited about exploring the creative potential of modular synthesis, and a welcome addition to the setups of veteran musicians seeking to add a new voice to their arsenal. Most of all, we are thrilled to see Korg bringing these esoteric but inspiring synthesis techniques into a price range accessible to so many more musicians—we look forward to the entropical paradise that will no doubt ensue. Check out these related items!